A century ago—the last time a book by Jean Jaurès appeared in English—nearly any American on the political Left would have known his name. Writing in 1904, the acerbic revolutionary Daniel DeLeon could expect his American followers to understand when he called the new reformist style of socialism “Jaurèsism;” in 1925, John Dos Passos could have characters in Manhattan Transfer drop Jaurès’ name with little explanation. Today, that pioneer of social democracy and martyr of French republicanism is less well remembered, at least in America. Our political thought would be enriched if we better knew him. The most interesting aspect of the Socialist History, however, is suggested by the adjective. What Jaurès means by “socialist” might not be what readers expect. Although Jaurès sometimes writes about classes and class struggles, this is not a Marxist history. Jaurès is more concerned with what he calls the “mystical” side of human affairs—the power of ideas and moral impulses—than even a revised Marxism could permit. “It’s not only through the force of circumstances that the social revolution will be made,” he writes, “it is by the force of men, by the energy of consciousness and will. History will never exempt men from the need for individual valor and nobility.”3 Plutarch, Jaurès remarks, is as important an influence on his Socialist History as is Marx4—a clue that Jaurès’ socialist politics depends on well-educated capacities for perception and judgment. This description of the king’s regret, unexpected and resonant as it is, stays with a reader. Passages like these turn out to be anything but inconsequential. 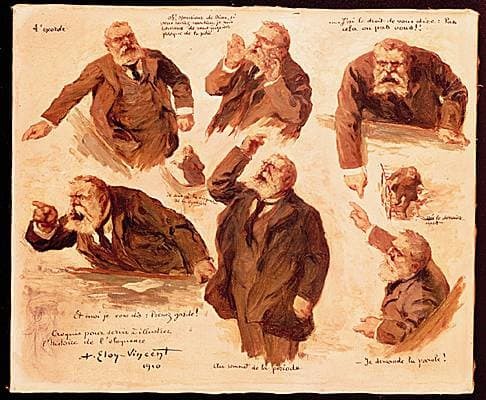 Jaurès invites his readers to linger over questions of political judgment because, for him, socialism is not something inevitable, as it was for Marxists in his generation, and is not essentially a question of material necessities or economic models, as Leftist (and even centrist) politics seems to many today. Instead, Jaurès’ socialism is a moral stance, a democratic political ethos. When socialists of Jaurès’ sort confront political life, they are not armed with a dogma that answers questions in advance. Instead, they sense the moral imperatives that drive them, and they have a certain political craft or method to apply. Thus a need for the deliberate application of political craft to new circumstances is built in to Jaurès’ socialism, and telling history “from the socialist point of view”7 means to him, in no small part, demonstrating how political reflection and judgment operate in particular cases. For Jaurès, the means and end of socialist politics can be summed up in one word. 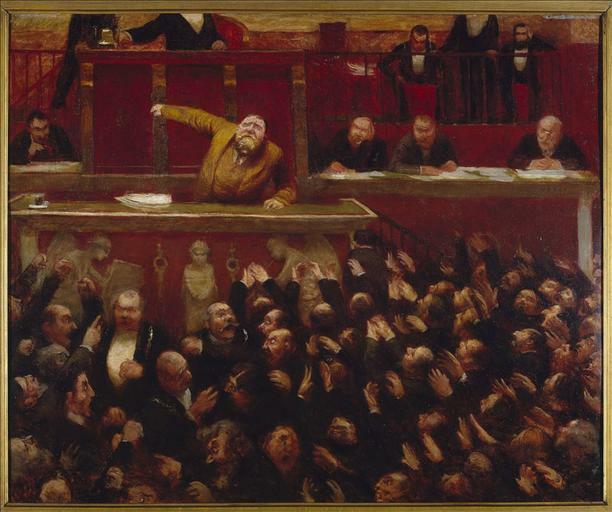 “Democracy,” he writes, “is at one and the same time a forceful means of action and the form in accordance with which economic and political relations should be ordered.”8 The great lesson of the Revolution, for Jaurès, is that democracy tends to deepen. That means two distinct but related things: first, that democracy’s “form” or norm is altered, fundamentally but not without continuity, as the rights of citizens are broadened to include economic rights—such as the social insurance programs and union rights that Jaurès championed while in public office—and, second, that democratic “means of action”—representative institutions like the Revolution’s Assemblies as well as participatory bodies like its clubs, committees, and sections9—reveal their radical meanings as they establish their primacy over non-democratic social and economic institutions. This understanding of democracy plays out gradually through the Socialist History, allowing Jaurès to show how mildly democratic principles, like those established in the first stage of the Revolution, can have consequences that their authors did not anticipate. The Revolution’s turn toward questions of social equality came, he writes, not through a repudiation of the Declaration of the Rights of Man and of the Citizen—a document written by and for members of the property-owning classes—but through new interpretations of the Declaration. The Revolution moved leftward through immanent critique: “The people were proud to be able to say to the bourgeoisie that they interpreted the Rights of Man better than they,” and the people’s “boldness” in pressing social and economic demands seemed to them “a logical extension of all that had occurred.”10 The way to build a democratic left, for Jaurès, is to make explicit the radical implications of an imperfectly democratic society’s common values. Thinkers on the democratic left have often tried to make do with either “watered-down Marxism” or “bulked-up liberalism.”11 Jaurès aims at something different: a social-democratic political theory that can stand on its own. His Socialist History presents his convictions that, precisely because it holds to democratic ends and depends on democratic means, the left needs a moral language, and, conversely, that precisely because it is an enterprise sustained by a thirst for justice, Left politics needs to be democratic in its means and ends. As Jaurès portrays it, the politics of the democratic Left is, at bottom, not a matter of social science or “critical theory” but of commitment and character. Contrivers' Review doesn't publish comments, but we do publish Responses. A good response opens up a conversation about a piece of writing. It might question a particular framing, research perspective, or normative conclusion. It might draw on anecdotal personal experience or scholarly knowledge. Crucially, it engages the original essay or review in a honest and productive way. If you have something to say, email us at editors@contrivers.org. Contrivers’ Review is a non-profit digital publication featuring essays, book reviews, and interviews. Its primary mission is to reconnect the highly professionalized discourses of the humanities and social theory with broader and more diverse audiences. Contrivers’ Review takes seriously the task of critique, while remaining respectful of the limits of theory’s ambitions. Contrivers' Review was founded in Glendale, CA. © Copyright 2014-2019 Contrivers' Review. Artwork © Copyright 2014-2019 by Nathaniel Sinnott. Contrivers' Review is a Python app built (mostly) with Flask, SQLAlchemy, Sass, and other open source libraries. The code is available at Github.